It’s fair to say that 2014 will be viewed by many as another good year for the UK property market. In England and Wales, property prices rose by 6.8% in the 12 months to December 2014 (according to The Land Registry). The average house price was £176,581, with, as usual, wide regional variations. London saw average prices rise to £461,453, an increase of 17.4% over the year, whereas the North East region recorded an average house price of £97,783, an increase of just 1.8% over the year. According to the Office for National Statistics (ONS), Scotland, which has a much bigger mix of housing type and far wider distribution of population density, saw an annual house price increase of 4.4% in 2014. Probably as a result of the more stringent lending criteria introduced because of the Mortgage Market Review (MMR), launched last year, mortgage availability started to slow. 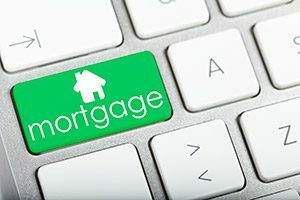 In November, the latest figures available from the Council of Mortgage Lenders (CML), the body representing the majority of mortgage lenders, reported £16.9bn being made available, which itself was a 9% reduction from the previous month. Overall the level of mortgage funds made available through 2014 was flat, compared with 2013. However, the number of housing transactions here still averaged above 75,000 per quarter. Currently, there are 11.1 million mortgages held in England and Wales worth a total of £1.2 trillion. Several market followers and housing index analysts feel that the rise in house prices is slowing somewhat, with the ONS, the Halifax, and Nationwide all concurring. At the same time, in January, the CML opined that 2015 lending will grow, however, at a slower pace than that seen in 2014. Interestingly, first-time buyers (FTB) led the way, as 2014 saw the highest number of them join the housing ladder since 2007, the height of the housing bubble. This group accounted for 46% of all house purchases, totalling 326,500 transactions, an increase of 58,000 transactions from the previous year. Although this encouraging increase did not manage to surpass the 359,900 FTB seen in 2007. Looking forward, the benign UK inflation outlook bodes well for the property market and also for current mortgage borrowers. The latest figures, released from the ONS in January, put the Consumer Prices Index (CPI) at a joint historical low of 0.5% in December 2014, down from 1% recorded in November 2014. The last time inflation was this muted was back in May 2000. The Governor of the Bank of England, Mark Carney, was quoted in January as saying that interest rates will remain at their present low level for some time to come. This, of course is good news for borrowers, as mortgage lenders compete for business, their fixed rate mortgage offers will possibly extend in length and reduce in cost. Given this encouraging economic scenario, rates may remain low and mortgage borrowers can therefore rest easy that their repayment schedules shouldn’t be derailed in the short-term.